In the latest World Vision podcast, Patricia Heaton opens up about her faith journey, how acting is her contribution to God’s work in the world, and her trip to Zambia to see World Vision’s work firsthand. 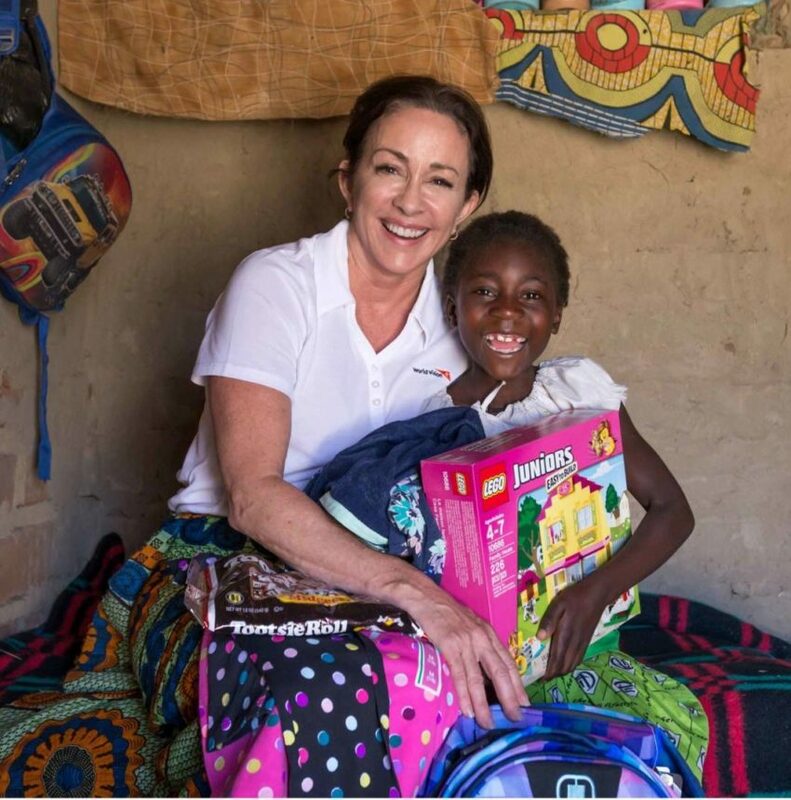 Currently the star of ABC’s “The Middle” and longtime star of “Everybody Loves Raymond,” Patricia Heaton is the founding member of World Vision’s Celebrity Ambassador Network. In 2015, Heaton launched a new program, “Patricia Heaton Parties,” on the Food Network. It was nominated for two Daytime Emmy Awards and won for Outstanding Culinary Program. As a Celebrity Ambassador, Heaton partners with World Vision to raise awareness, funds, and additional support for its development, relief, and advocacy work in nearly 100 countries around the world. How have your career and faith journeys been intertwined? and thought I would give myself two more years and then think about doing something else. to an orphanage in Mexico. When I came back, I had an inner change. My focus shifted from all my energy going toward being an actor to now thinking, “What is it that God really wants me to do?” I felt such an inner peace when I came back from Mexico that I’d never felt before. I said to God, “What do you want me to do? If it’s acting, I’ll continue to pursue that,” because at that time in Los Angeles I was starting to get some auditions and book some jobs. I said, “I’m willing to let go of that if you want me to go back to Mexico or go into the mission field. But make it very clear that’s the direction you want me to go in.” As soon as I reprioritized myself in that way, the auditions just kept coming. Was that a turning point for you? I had a sort of a freedom from that moment on, because now I knew that my value as a person did not depend on whether or not I was a successful actor. Prior to that, every audition was too important because I had to be successful to be considered valuable to myself and to the world. Now, having put it aside, I could go into these auditions and know that it was really in God’s hands. And my work became better! That was my journey. I’m still a monthly supporter of the orphanage where I first had that experience. I think God took that experience to change my heart, but he gave back to me the thing I really love — acting — in a whole new way that was so freeing. It also enabled me to participate in that mission work by being a financial supporter. with your career and life in the entertainment industry? Fortunately, the long-running shows that I’ve been on — “Everybody Loves Raymond” and “The Middle” — have been wonderful shows with great values about family and faith. Both families on the shows are churchgoers, which is kind of unusual on TV. Sometimes I look at what I do, and I think, “This is sort of a silly way to make a living. I get dressed up in a costume, we laugh all day, and it’s not really a dignified, grown-up job.” And then I’ll get a letter, or someone will come up to me on the street and share a story with me about how an episode lifted them up, and I realize that each of us has a contribution to make. It comes in many different forms, and sometimes it feels like you’re not doing anything. I feel like the minute I took out the egotistical element from my career, it became a wonderful gift I could give to people. God has given me this opportunity, and I’m responsible for the way I use it. How has the nature of your career impacted your faith? What I love the most about what I do is how everything continually changes. Even on a show that’s doing well, like “The Middle” — we’re in our eighth season — you know the show is going to end. There’s no job security, even when you’re successful. It sounds horrible, but in life there is not any earthly security. Your only security is in God. Sometimes it’s easy to put your faith and your trust in having a family or having a job or a reputation of some kind, but those things are not secure. The beauty of being an actor is you know everything’s going away, so you live in a constant state of insecurity. Instead of looking at it negatively, hopefully you look at it and think, “I wonder what’s next.” That’s something I’ve learned to appreciate. You become very resilient as an actor; it builds character, and in a way it’s a real gift. Is there a part of the Bible that is particularly inspiring to you? I think Paul’s story is amazing. Something happened to Paul on the road to Damascus, and he ended up dying for the cause that he used to kill people for. If that isn’t a testimony — a witness to the fact that something happened and that Jesus was present — then I don’t know what is. And Paul’s letters were beautiful. I get chills at the sentence, “For now we see only a reflection as in a mirror; then we shall see face to face” (1 Cor. 13:12, NIV). All the things he wrote about love — it’s poetry. He is my favorite part of the Bible. How did you first get involved with World Vision? a difference, but sponsoring a child or buying a goat for a family changes their lives forever. All of us want to feel like we have done something for someone else. Tell us about your trip to Zambia with World Vision in 2015. I took my son Dan, who was 16 at the time. I met my sponsored child, Gracious, and Dan met Aiden, his sponsored child. We saw how much we take for granted. Going to get water can take hours. We saw World Vision’s program for clean water, which makes a huge difference. Not only were these wells built, but it makes a difference in people being able to walk out of their house and get water, as opposed to have to walk 3 miles. And World Vision goes further than that: They train people in the community to maintain the wells, so that 10 years later they are still working. We got to see how much bicycles mean to people — we built bikes and gave them to a few families, which is like giving someone a car, because there’s so little transportation for people in that area. saw everything from cooking groups to women who have received microloans to start their own businesses and earn income for their families. 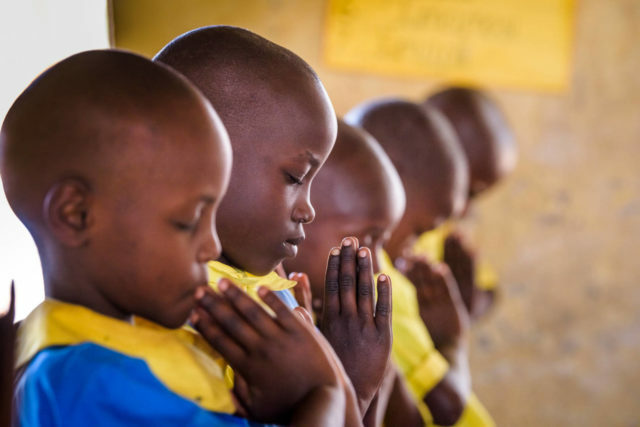 Person by person, World Vision is making a difference. do you see between mothers in the U.S. and the mothers you met in Zambia? you don’t have the opportunity for growth because you’re so busy getting from morning until night. We’re fortunate here that we have the leisure time to dream — and not just to dream, but actually make our dreams come true. That’s what we want to do for other people. What would you tell those who feel overwhelmed by hearing about global poverty? I can’t stress this enough: We can’t all be on the ground. We all have our lives here, our families, and our jobs. But if your heart is really being tugged on in a certain area — whether it’s refugees, or maternal health, or girls’ education — you can give specifically through World Vision to those areas. It’s easy to look at all the bad news, but there is so much good work going on all over the world, and there are people who have been called to manifest that good work in other countries. 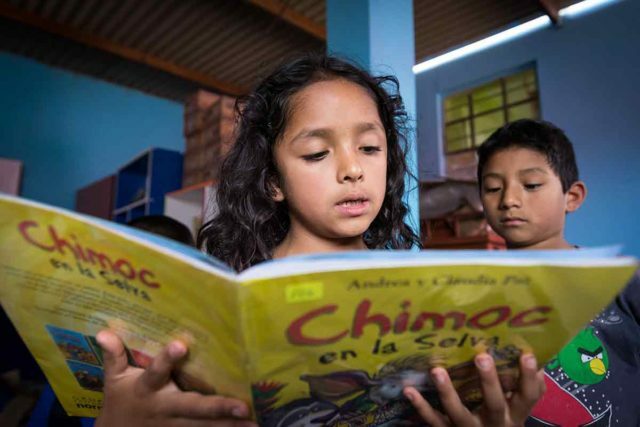 Americans are very generous people, but it is hard sometimes when you look around the world and you think, “How could I possibly help?” But you can, because World Vision is there to do the work that you want to see get done. You can choose to either feel despair about our world or hope, and there are a lot of good reasons to be hopeful.